At London Fashion Week in September, almost every outfit to walk the S/S 17 catwalks featured a statement sculptural earring (yes, that's meant to be singular) or a pair of mismatched showstoppers. 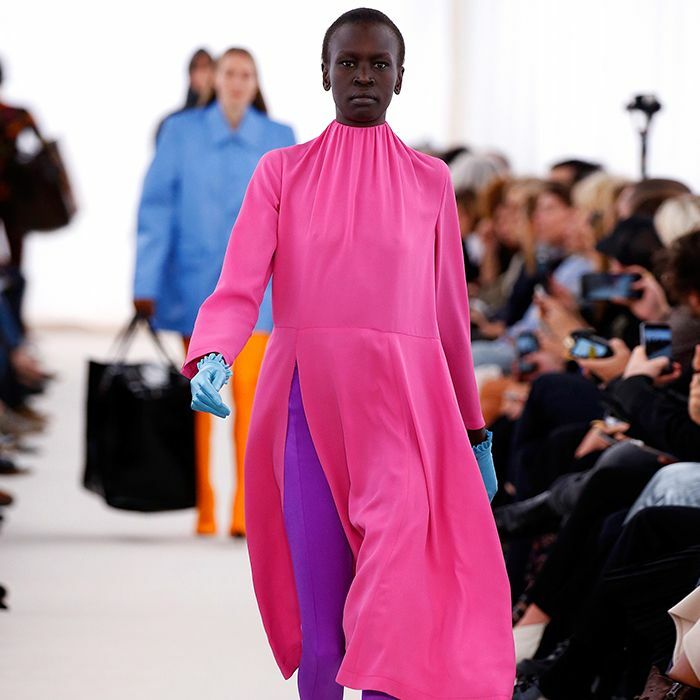 This might sound like one of those things unlikely to catch on in the real world outside of the fashion week bubble, but this quirky accessory trend is about to catch on. It actually looks best when paired with casual jeans, as modelled by our favourite street style stars. J.W.Anderson created eccentric art teacher–style XXL earrings, which all skimmed the shoulders, with a different style worn in each lobe. Meanwhile, Erdem had a more delicate approach to the trend, with intricate pearl chandelier sets that were different, but still coordinated. As for the single earring trend, Loewe's modernist large silver plate is a favourite among the street style set. 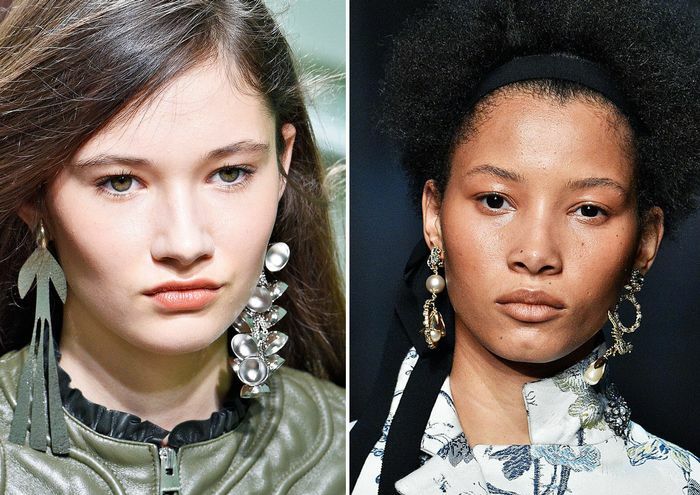 The key to this trend is abandoning the assumption that attention-seeking earrings only work for evening events, as they actually look most striking when paired with a T-shirt and jeans in the daytime. Tamu McPherson and Natasha Goldenberg have already been spotted in spring's biggest jewellery trend, and both paired theirs with classic jeans to ensure that the loud earrings were the focal point of the outfit. Ready to try the look? Scroll below for our edit of the best earrings to wear in one lobe or as a mismatched pair. Just remember the bigger, the better. For more trends that are about to explode, see our guide to the seven key looks for S/S 17.